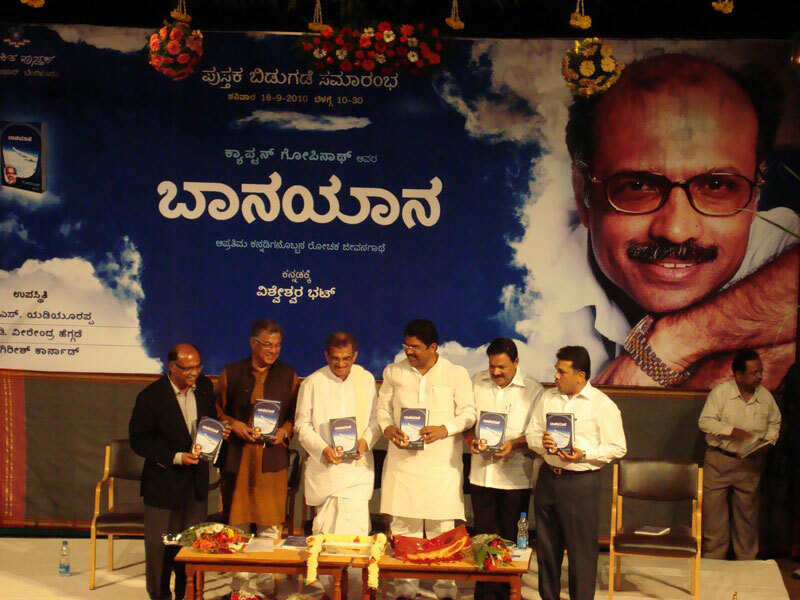 Captain Gopinath launched his book “Baana Yaana” (the Kannada version of his bestselling autobiography SimplyFly). 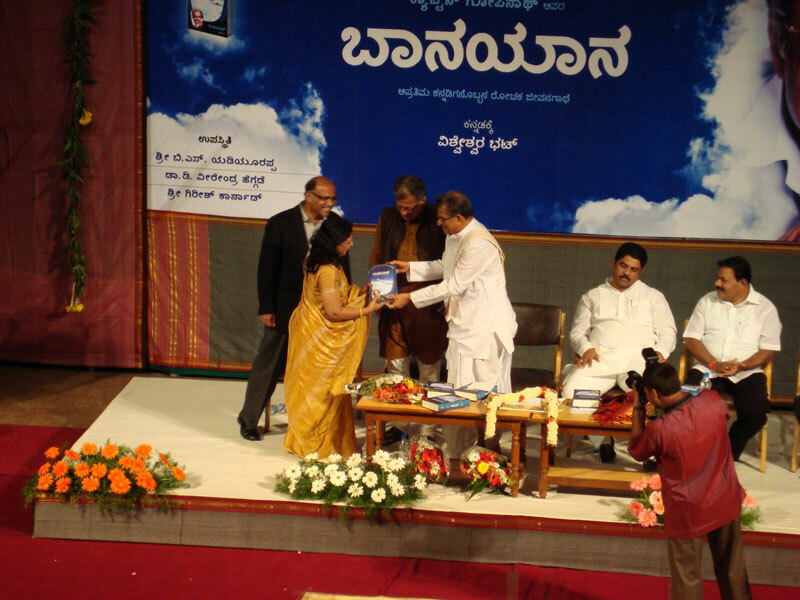 Loosely translated from Kannada ‘Baana Yaana’ in English means ‘Voyage in the Sky’. 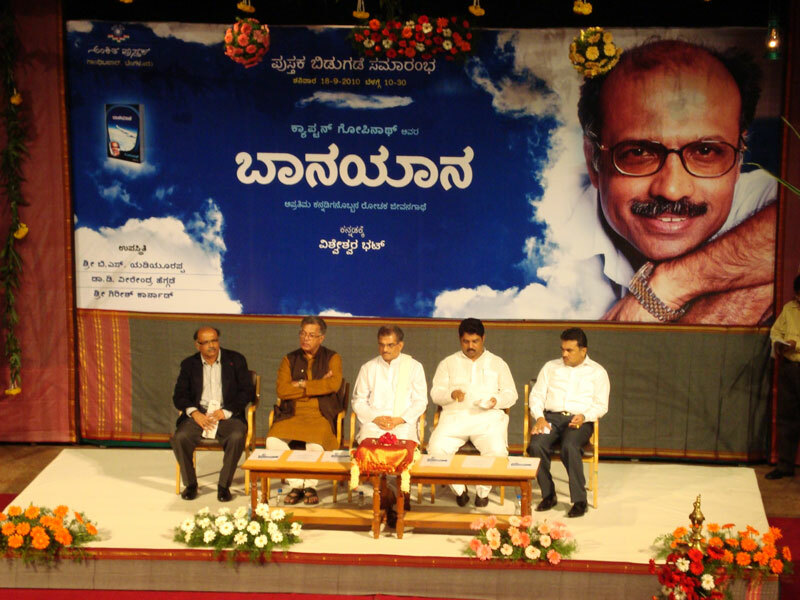 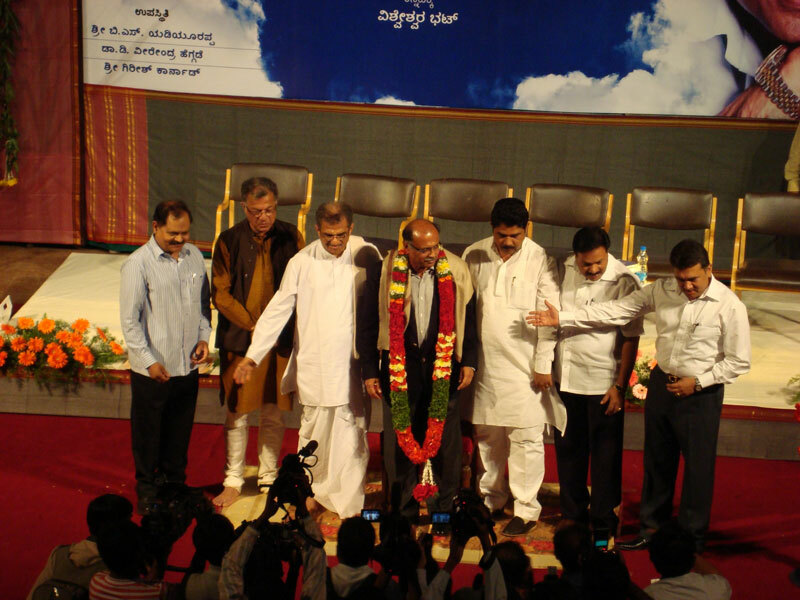 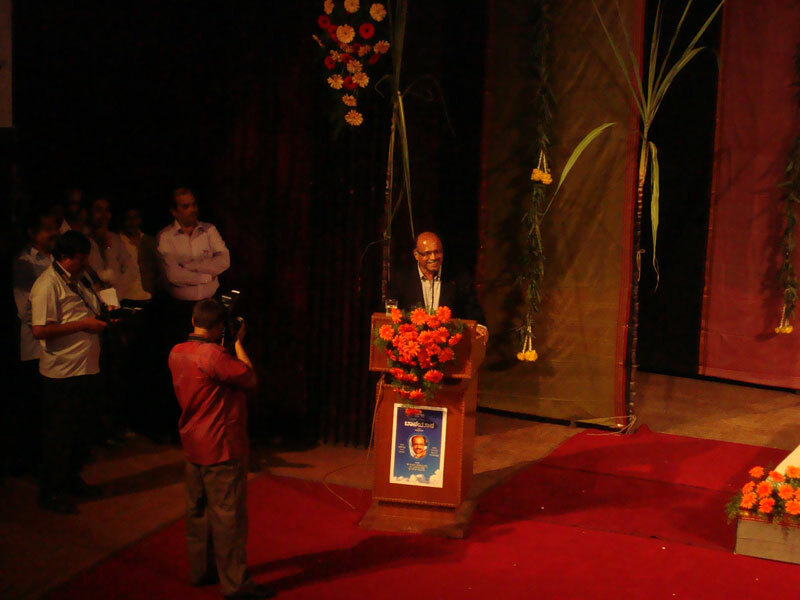 The book was launched on a grand scale on September 18 at Ravindra Kalakshetra, Bangalore. 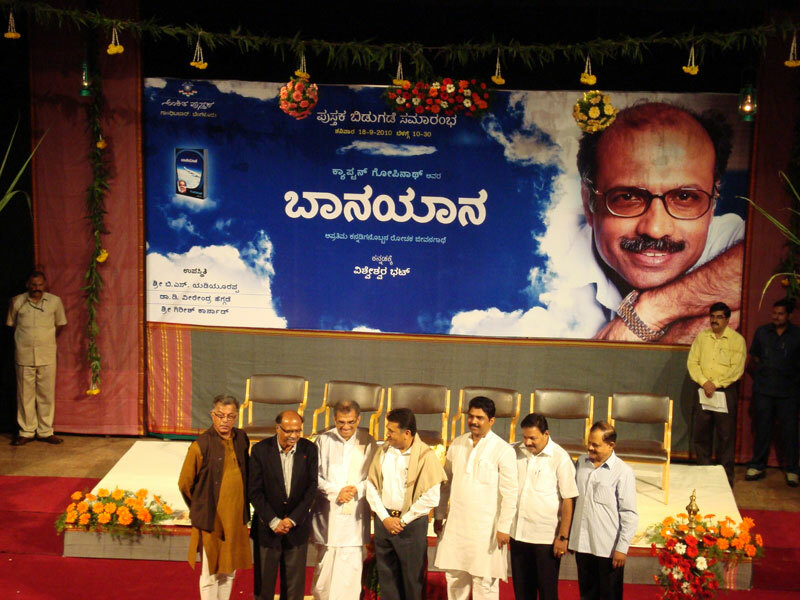 The chief guests included senior Kannada journalist Vishveshwar Bhat (who has translated the book); Transport Minister R. Ashok; Dharmadhikari Dharmasthala Dr. Veerendra Heggade; and Jnanpeeth awardee Girish Karnad. 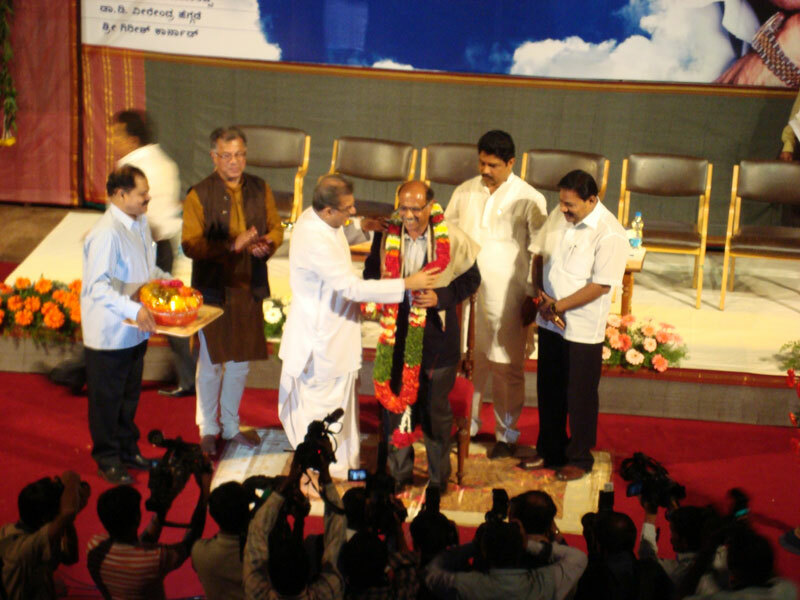 More than 700 people were present at the function including several press and television reporters from Karnataka.